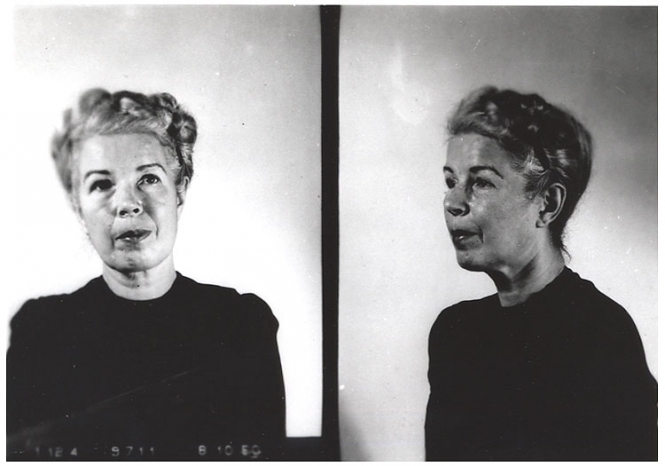 Mildred Elizabeth Sisk (aka Axis Sally) was 56-years-old when she began serving a federal prison sentence for treason in 1949. Working for Radio Berlin, Axis Sally--pictured here in a Bureau of Prisons mug shot--was infamous for her anti-Semitic and anti-Roosevelt propaganda broadcasts before and during World War II. Submitted by roydawgg on Wed, 2010-10-27 23:52.